Ajase-Ipo to Offa road in Kwara State is probably the worst in Nigeria. But because Ghanaian president John Dramani Mahama is visiting Offa (where he grew up) today, the government went ahead to grade (levelling) the road so he can have a bumpy-less ride. That road has been impassable for years. But the shameless political elite want to hide our national shame from the visiting president. In nutshell, Nigerians who have been suffering daily on this important road for over three years do not matter. 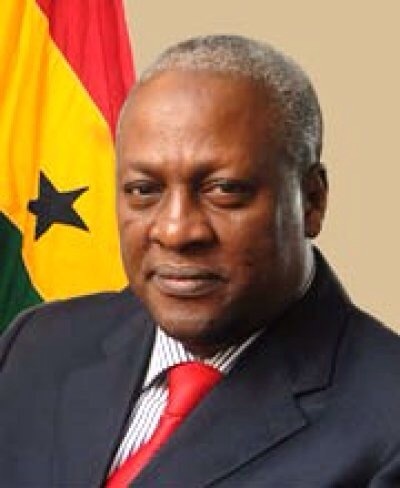 President Mahama must have a jolly ride, but Nigerians can go to hell via hellish Ajase-Offa road. OBOTUNDE IJIMERE: A CONFOUNDING NAME! I first came across this confounding name in 2001. As an undergraduate studying English Language and History at Obafemi Awolowo University (OAU), I relished going to the Literature section of OAU Bookshop. It was during one of my numerous visits to the Bookshop that I came across a book written by Obotunde Ijimere. But, rather than the book’s tittle and/or content it was the name of the author that fascinated me. It was a very unusual name. And though the owner of the name was Yoruba, the name is Yoruba and I am Yoruba yet I cannot but wondered why he was given that uncommon name. I’m still searching for answers. Morphologically, the first name ‘Obotunde’ is of two parts ‘Obo’ and ‘Tunde’. The first part means ‘Monkey’, while the second part means ‘Has Come’ or ‘Has Return’. Thus, the first name in whole would literally means ‘Monkey Has Come or Return’. The surname ‘Ijimere’ similarly means monkey or gorilla (though of a different type, like gorilla or chimpanzee – I am not sure of the actually type). Ordinarily, calling someone a monkey (or gorilla/chimpanzee) is regarded as an insult, even among the Yoruba people. (I guess you’ll by now understand my infatuation with the name ‘Obotunde Ijimere’. Unusual and uncommon – semantically). Now, unlike in Western culture, the Yorubas attach meanings to name. In fact, the Yoruba cosmology is one that equates name of a child with its eventual destiny. He was a literary icon born in Otan Aiyegbaju, western Nigeria, in 1930. He had a brief stint with Duro Ladipo’s theatre company, and later attended Ulli Beier’s extra-mural writers’ workshop in Oshogbo. He initially wrote in Yoruba but later followed Beier’s advice to write in English. He was the author of “The Imprisonment of Obatala’, The Fall of Man”, and few other stories. NB: The above was not an attempt to demean the person Obotunde Ijimere. Whether true or not, the above is just like the almost uninterrupted power supply being enjoyed in cities like Lagos, Ibadan and Abuja, while the unfortunate ones get so little or nothing. It seems big cities are the only beneficiaries of the Change Mantra. I bought petrol at N100 per litre in Offa on Saturday. And power here is almost nil, whereas big cities enjoy it. My ‘one-day-on, one-day-off’ power is even worse now. We may not get it at all on our ‘on day’. Apostles of Change Mantra should please pocket there ‘don’t worry, it would soon be your turn’. I (or do I say we?) equally deserve better, and not unpalatable sermoning. I’m equally an apostle of Change – do not bother to proselytise to the converted.